Real Scientific Hemp Oil™ is a full spectrum hemp oil with a high concentration of naturally occurring cannabinoids, especially cannabidiol (CBD). 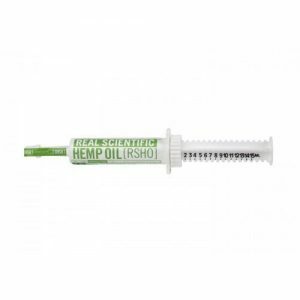 Real Scientific Hemp Oil is available as a nutritional supplement in the United States as well as over 40 other countries, and as a prescription medication in Brazil, Mexico and Paraguay. RSHO™ is available in Green Label, Blue Label and Gold Label varieties of pure CBD hemp oil, as well as in capsules, liquids and tinctures. Learn more below. Green Label is the closest of our three RSHO™ types to juicing the hemp plant. Green Label is raw hemp oil pressed from the hemp plant and packaged for use, with no further processing. Higher in CBDa than CBD, the RSHO™ Green Label is good for those looking to draw on the effects of these fully natural cannabinoids. 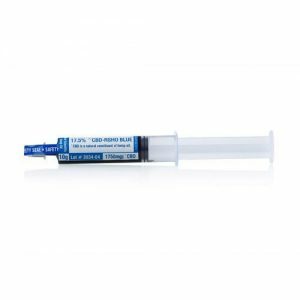 RSHO™ Blue Label is extracted from the hemp plant just like Green Label, and is then decarboxylated, a heating process that increases its concentration of CBD. With most batches containing 17% CBD by weight, RSHO™ Blue Label is an excellent source of CBD as well as all the other nutritious constituents in hemp: vital amino acids, omega fatty acids, chlorophyll, and a dozen essential vitamins and minerals. Like the Blue Label RSHO™, our Gold Label product is decarboxylated. Then, our Gold Label CBD hemp oil is also put through a state of the art filtration process to remove most of the plant material. 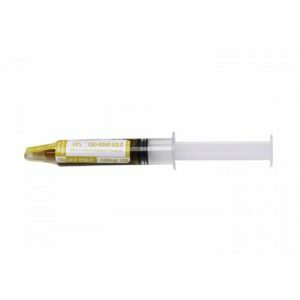 This giving the oil its distinctive gold color and clean, spicy taste, with the highest CBD concentration of our standard products: 24% CBD. 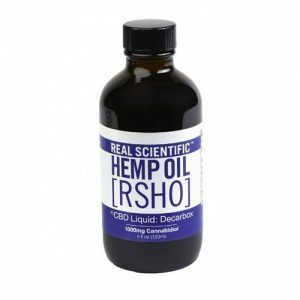 Real Scientific Hemp Oil™ Special Blend hemp oil products are small batches of full spectrum hemp oil, specially engineered for the highest possible concentrations of CBD. Utilizing the highest yield hemp and precise extraction techniques, our Special Blend batches reach as high as 38% CBD, but they’re only available in limited quantities. The full benefits of all three Real Scientific™ labels are now available in convenient RSHO capsules. All three labels (Green, Blue, and Gold) contain the same 25 mg of CBD per serving, plus 200 mg of calcium and 200 mg of our proprietary blend of powdered white willow bark and turmeric root. The vegan, delayed release capsules also ensure consistent absorption of cannabinoids. With no question of serving size and no need to measure doses, these capsules are exceptionally easy to use everyday and are perfect for those always on the go. 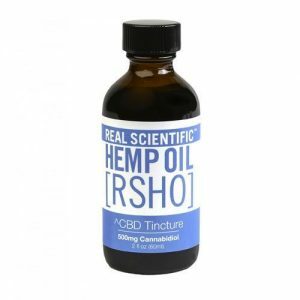 Our RSHO™ tincture combines Blue Label RSHO™ hemp oil with medium chain triglyceride (MCT) oil derived from sustainably sourced palm oil and organic coconut oil. Tinctures offer true ease of use. The concentrated liquid is held under the tongue for a minute or more before being swallowed for sublingual absorption of the tincture. RSHO™ tinctures are available in 1 oz. bottles with 100mg of CBD, or 2oz. bottles with 500mg of CBD. Our newest RSHO™ product, RSHO™ liquid presents a middle ground between daily use low-CBD tinctures and our high-CBD RSHO™ oil. Our liquids contain 31 mg of CBD per serving and 1000 mg of CBD per bottle. 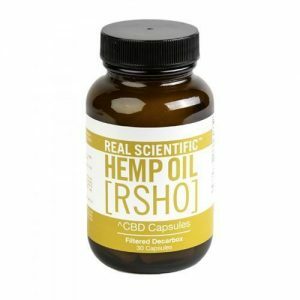 Similar to our RSHO™ tinctures, RSHO™ liquid combines RSHO™ hemp oil with medium chain triglyceride (MCT) oil sourced from sustainably cultivated palm oil and organic coconut oil. It can be taken alone or added to almost any food or drink, RSHO™ liquid mixes well into smoothies for a wholesome and nutritious way to get your vitamins, minerals, and CBD, too.